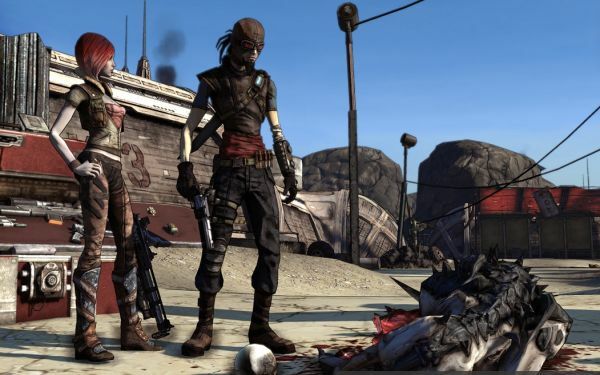 With Borderlands out next week, it's time the promotions got kicked up a notch, and that's exactly what Microsoft and Gearbox have done. First up is an oppurtunity to win 4000 Microsoft points by simply watching a video of Borderlands. Easy enough, US Resident just need to download the "Choose your Hero" trailer from the marketplace and you're automatically entered to win one of 95 prizes of 4000 MS Points! Next up is a play with the developers session on October 23rd on Xbox Live. There's no prizes officially announced, but knowing some of the other team members, you might just get some phat loot! Page created in 0.2765 seconds.